SANTA CLARA, CA - January 21, 2009 -Incentia Design Systems, Inc., a technology leader in nanometer timing analysis and design closure solutions, will showcase its TimeCraft™ and ECOCraft software for the fastest analysis and closure in the Electronic and Design Solution Fair (EDSFair) from January 22 to 23 at booth number 213, in Yokohama, Japan. Incentia's TimeCraft has been the fastest Static Timing Analyzer (STA) in the market for Multi-Mode Multi-Corner (MMMC) designs. Its 2008.10 release effectively handles extremely large designs in excess of 50M gates using technology at 45nm and below. Incentia's complete timing solution also includes TimeCraft-LOCV for advanced location based OCV, TimeCraft-SSTA for statistical STA, TimeCraft-MT for multi-thread capability, TimeCraft-SI for signal integrity analysis, and TimeCraft-PCA for power analysis. ECOCraft is Incentia's design closure solution for post-layout Timing and Power ECO under MMMC environment. The ECOCraft-Timing module performs the ECO fixing for hold time and setup time violations. For hold ECO, it fixes the hold violations with the least amount of inserted buffers, while preserving setup times. For setup ECO, it fixes setup violations without introducing new hold violations. The ECOCraft-Power module reduces the leakage power of a pre-optimized design by another 10-25% through the efficient utilization of multi-threshold library cells. Built on top of TimeCraft's highly efficient timing engine, ECOCraft can achieve runtime performance improvements up to 10X. Incentia Design Systems, Inc. is a leading Electronic Design Automation (EDA) tool provider of advanced Timing Analysis, Design Closure, and Logic Synthesis software for multi-million-gate nanometer designs. Incentia patented technologies provide the fastest Static Timing Analysis (STA) tool in the market today. 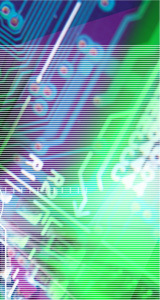 Incentia's products are in use at leading semiconductor, fabless IC design, systems, and design service companies worldwide and have produced numerous successful tape-outs in different design application areas, such as communications, networking, wireless, chip-sets, consumer electronics, and multi-media. Incentia has offices in Santa Clara, California and Hsinchu Science Park, Taiwan, and distributors in Japan, China, India, Korea, and Israel. For more information, please visit www.incentia.com, email to arthur@incentia.com or call 408-727-8988. TimeCraft is a trademark of Incentia Design Systems, Inc. All other trademarks and tradenames are the property of their respective holders.